Hey, friends! Now that I have recovered from the stomach bug I got from Lucy (who spent three days this weekend being so pitiful I called my mom crying) I can tell you about the book I just finished reading! It's Andrea Lucado's debut and it's called English Lessons: The Crooked Path of Growing Toward Faith, a memoir she penned about her year-long stint in Oxford. And beyond just being a good read it also had me itching (even more, if possible) for our trip to the U.K. next spring! The church wasn't just a part of Andrea Lucado's childhood. It was her childhood. It provided more than happy moments. It provided an invitation to know Jesus. When Andrea arrived in Oxford the year after she graduated from college, she expected to meet God there. What she didn't expect was that God would be much bigger than she'd believed. In this engaging memoir, Andrea speaks to all of us who wrestle with doubt and identity. "So many nights in Oxford," Andrea writes, "I felt like the details of my faith were getting fuzzier. Nights turned restless with questions. I questioned God's existence, and the doubt was getting into my bones." In English Lessons, Andrea takes us through the roads of England and, more importantly, the paths of the soul. Here she explores the journey of a changing faith and an unchanging God--and why growing up starts with realizing just how small we are. I usually start with the good stuff and leave the cons for way, way down in the review (I'm a people pleaser, okay?) but I'm gonna lead with them this time because they specifically address claims made in the very first paragraph of the book's back cover blurb. While I thoroughly enjoyed English Lessons, I didn't ever fully get the impression that Lucado "expected to meet God" in Oxford or that she left feeling He was "much bigger than she believed." In fact, it was kind of the opposite. It seemed as though her entire year abroad taught her a great many lessons about growing up, handling relationships, and experiencing connections outside of the American Christian Church, but her doubts about who God is and His role in her life didn't appear to ever get resolved. At least not in the way this book has been marketed. Lucado left for Oxford with doubts and a desire to meet people who didn't see her as just "Max Lucado's daughter"...and seemed to go home with those same feelings, albeit with more maturity and perspective. Still, that doesn't stop English Lessons from making a great number of solid points about the difficulties of growing into one's faith, most of them in the second half of the narrative. On journaling about her struggles, Lucado wisely opines, "Sometimes faith comes very naturally, and sometimes everything we've ever believed is suddenly thrust under a microscope and we are forced to examine it. It's okay to look. In fact, please look. Because if you don't, what are you looking at instead?" Most of all, I appreciated Lucado's current insight into personal relationships, especially as the 22-year old Lucado who experienced them was clearly as uncertain as I was in my earlier years. 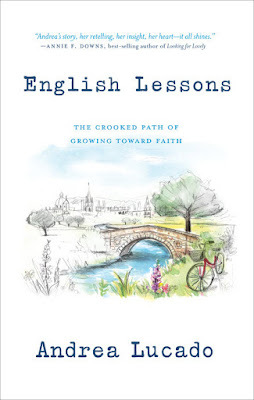 I think if the marketing team in charge of English Lessons had done a little more to focus on that part of Lucado's year in England, rather than prioritizing the book as a faith memoir, my expectations about this read would have been more realistic. 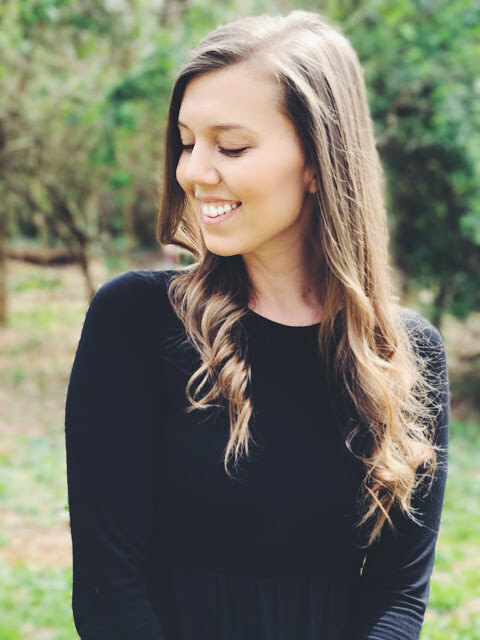 I get that the "Max Lucado's daughter" bit makes readers—especially readers like me who grew up reading her father's work—perk up, but it seems like Andrea has already made it pretty clear she's more than just a famous pastor's daughter.